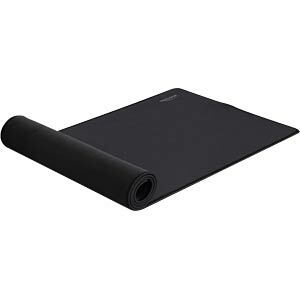 This high quality mouse pad by Delock is most suitable for gaming, home or office applications. 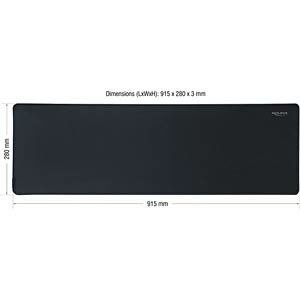 Due to its special size, this mouse pad offers enough space to place a keyboard and mouse and still provides room for working and playing with a mouse. 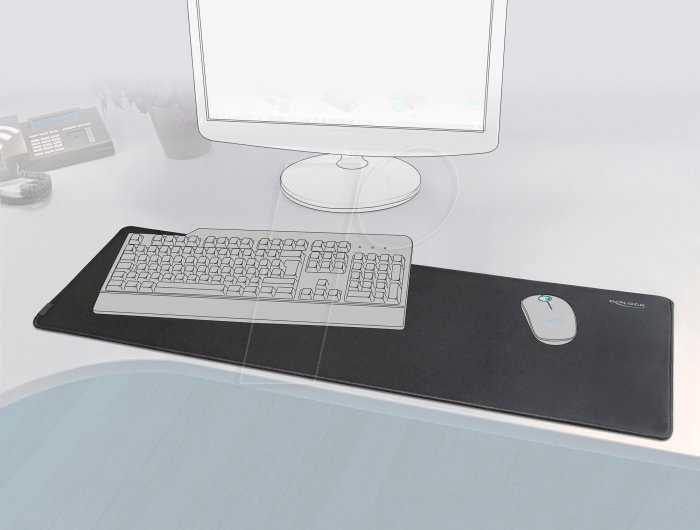 The surface of the mouse pad is designed to react water-repellent to liquid and can be cleaned easily. 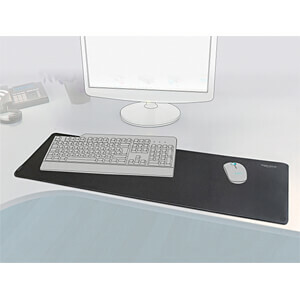 Furthermore it supports speed and precision of the mouse tracking, which is very important in fields of gaming. The black edge stitching prevents fraying.